Twitter’s initial public offering is official as of Thursday, which means Wall Street investors and tech journalists are collectively losing their minds from all the excitement. The IPO doesn’t mean much for Twitter’s 215 million+ monthly active users, except that Twitter needs you to survive—and it’s a little worried that you might move on. The S-1 form Twitter filed with the Securities and Exchange Commission is a long slog filled with fascinating tidbits the social network has never before disclosed. You’re obviously not going to read the whole thing, so we plucked the 10 most interesting facts from what is perhaps the first SEC filing to contain tweets. Last December, Twitter was ecstatic: The social network now had 200 million monthly active users. But in six months, that number didn’t move that much. As of June 30, Twitter had 218.3 million monthly active users. For comparison, Twitter’s active users jumped from 151.4 million to 200 million from June to December 2012. In its IPO filing, Twitter said it expects user growth to slow, so it will have to boost engagement with ads to continue to make money. Twitter relies on a pay-for-performance business model, so if you don’t click on those promoted tweets, Twitter gets nada. If you don't interact with promoted tweets, Twitter doesn't get paid. Twitter might not have the broad user base that Facebook does—once you can count to a billion, it’s all over—but it’s also a more public forum than Facebook is. 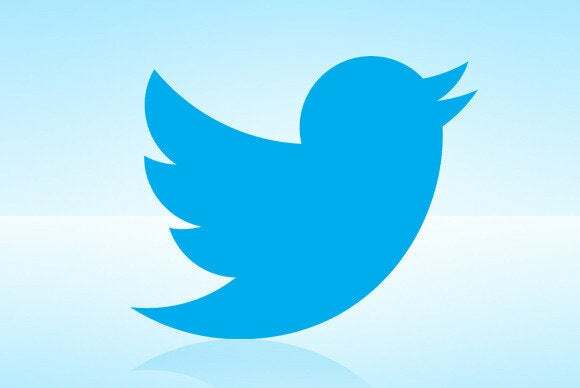 Twitter said its influence extends across the Internet with more than 30 billion impressions of tweets in the second quarter of the year. Even if Twitter doesn’t grow its number of monthly actives, its reach is still impressive. Not only is Twitter not growing that much, it’s not a profitable company. (Are you ready to invest yet?) The company lost $69.3 million in the first six months of this year, and is running a total deficit of $418.6 million. Twitter’s revenue increased from $28.3 million in 2010 to $316.9 million last year with the introduction of ad products, but in the IPO filing, the company said it expects its revenue growth to slow. The Japanese social messaging app Line poses a huge threat to Twitter's international growth. Twitter has a huge international user base—77 percent of its active users in the second quarter of this year live overseas. But in its IPO filing, Twitter said social networks in Asia with similar messaging features pose a big threat to the network’s international growth potential. The company pointed specifically to Japan’s Line, South Korea’s Kakao, and China’s Sina Weibo as competition for Asian users. Twitter faces a huge international growth problem if it can’t crack China, where Sina Weibo dominates and access to Twitter is blocked. “We have developed a global platform for self-expression and conversation in real time, and the market for our products and services is relatively new and may not develop as expected, if at all,” Twitter cautioned potential investors in its IPO filing. Basically, Twitter has no idea if Twitter will be a successful business. The company detailed substantial risks in its business model, any of which could threaten the future of Twitter. Loss of users, loss of advertising revenue, increased competition from other social networks, problems accessing the network on a mobile OS or desktop Web browser, and international Internet disruptions are just a few of the dangers that could topple Twitter. The list goes on. Twitter said it relies on Google search results to push traffic to its site, but Google these days is promoting its own social network, Google+. Twitter said the change has “negatively impacted the organic search ranking of our webpages.” Google clearly has the upper hand in this situation. Twitter knows that spam is a huge problem that annoys users and makes the Twitter experience less appealing overall. The company said that the time spent policing spam on the network diverts “significant time and focus of our engineering team from improving our products and services.” The more time Twitter devotes to spam prevention, the less time it can spend on making Twitter better. That’s not good. This looks like a real Twitter user, but it's actually a spambot. Social networks have risked the wrath of users to start showing ads, but those ads are paying off. Twitter reported that 87 percent of its revenue for the first six months of the year came from ads, primarily through promoted tweets, accounts, and trends. But none of Twitter’s ad clients have long-term contracts, and if those brands move on to the Next Big Thing, Twitter could crash and burn. Evan Williams, Jack Dorsey, and Biz Stone founded Twitter in 2006, but didn’t stick around as executives to grow the company into the influential business it is today. Maybe Williams had a premonition of Twitter’s future success. He held on to his 12 percent stake in the company—the largest individual stake, actually—and will rake in billions from the IPO when all is said and done. Twitter used this exchange as an example of how the social network encourages conversation. I bet Mario Batali and Gavin Rossdale had no idea their discussion of tomatoes and basil would land in some seriously important financial documents. But that’s Twitter for you: Anything goes and (most) everything is public. This story, "10 fun new facts found in Twitter's IPO filing" was originally published by TechHive.